In a Nutshell: Boston resident Braden Golub noticed private parking spots going unused while the owners of those spaces were at work. So he had the idea to connect those available spots with people looking for affordable parking — and the SPOT parking app was born. 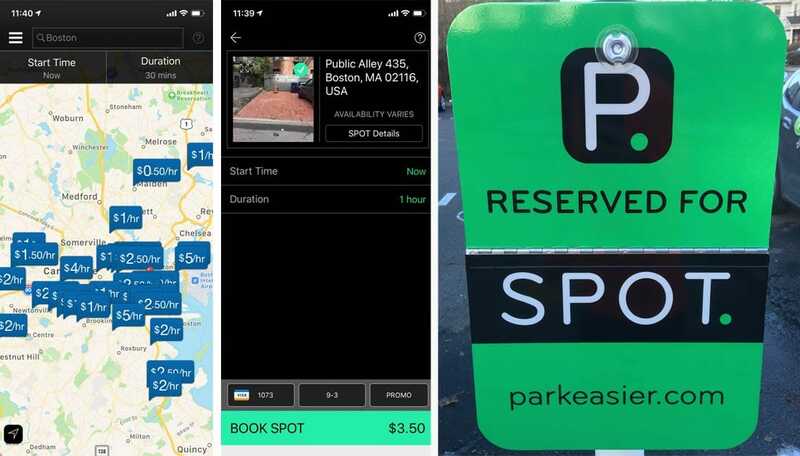 SPOT allows users to find and pay for parking using their mobile device — at rates often below the city’s average cost. It can also provide the owners of those private parking spaces a passive income stream. The result is more available parking, reduced congestion, and lower costs in major metropolitan areas like Boston and Chicago, with more coverage coming soon. Boston is often referred to as the Cradle of Liberty, owing to the city’s role in the Revolutionary War and the founding of our nation. Paul Revere’s ride, the Boston Tea Party, and the first shots fired against the British all took place in the area. With such a unique and prominent role in American history, Boston is a favorite city for visitors, but one thing you won’t find much of is affordable parking. In a city where parking is so tightly regulated and enforced (parking officials brought in more than $15 million in revenue in 2016), the cost of legal parking is often whatever the market will bear. Metered parking, if you can find an available spot, can run as high as $8 an hour. And parking garages around town can be $25 an hour or more. But one Boston resident saw a potential solution for the city’s parking woes. Braden Golub was living in the Back Bay area of the city and had a private parking space behind his condo. Boston resident Braden Golub founded SPOT after seeing the number of unused parking spaces in the city. Golub, who worked in real estate at the time, had an idea for how to help people monetize something they were paying for, but weren’t using for a good portion of every day. His idea led to the founding of the SPOT parking app, which pairs owners of private parking spaces with people who want more affordable and accessible parking within the city. While there are plenty of parking apps that try to help drivers locate available parking, most are associated with public parking lots and huge corporate garages. But SPOT is trying to make parking more affordable while providing space owners with more value. The SPOT app, which is currently available in Boston and Chicago, lives up to the promise of being easy to use. According to Golub, it takes around five to 10 seconds to find a parking spot, and another 10 to 20 seconds to actually book it. Similarly, it takes the person who owns the parking spot about one minute to list it on the SPOT app. Owning a coveted parking space in the greater Boston area means not having to shell out for daily or hourly parking. However, those private spots aren’t cheap. Golub’s space behind his Back Bay condo cost $400 a month, which he says was pretty typical for the area at the time. Renting a spot out when it’s not in use could recoup some — or all — of that expense. 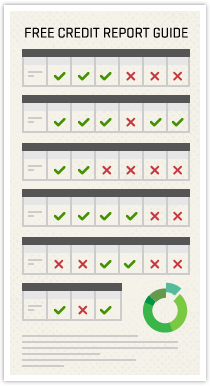 And the process is simple, just sign up, pinpoint your spot on a map, and set a schedule and rates. In fact, Golub said that people in some parts of the city make upward of $600 to $700 a month renting out their spots. While this is obviously dependent on the area, the type of parking space, and how frequently it gets rented, that amount can be a solid passive income stream for what would otherwise be an empty piece of property. The SPOT app helps users figure out how much to charge for their space based on market rates. SPOT offers suggestions for parking space holders on how to price their spots. The app uses data on what other spots in the area are going for, as well as information about events or happenings nearby. It then lets holders know how much they can charge, or if they can ask a premium for their spot during certain times. Beyond the benefits to holders who can earn money from their spots are the benefits to visitors — and to the city itself. People who use the SPOT app can easily find a parking space at a rate that is typically 60% to 70% lower than garage parking rates, according to Golub. And it saves time. Instead of visitors driving around for hours looking for any available parking space, there is one waiting so they can spend that extra time enjoying the city. Traffic congestion is another big problem in cities like Boston, which has narrow streets that weren’t engineered with modern automobiles in mind. Cities could ease congestion by using the SPOT app to fill empty private parking spaces. The SPOT app helps resolve this supply/demand imbalance by creating a market-driven system where holders of parking spaces and those looking for parking can determine a fair price and complete a transaction instantly. As a parking spot owner in Boston, Golub saw an opportunity to connect owners and drivers seeking parking to combat high prices and desirable spaces going unused. After getting started in Boston, the SPOT app expanded to include areas of downtown Chicago — which suffers from similar woes as Boston. It was a logical place to begin growing the app’s reach. Golub said that he’s also looking closely at partnering with cities, landlords, and property managers — who aren’t necessarily experts at managing their parking. Using this approach in the cities of Boston and Chicago, the company has raised the capital to move forward with plans to expand throughout the country. “Right now we’re in Boston and Chicago, with plans to expand into eight cities that cover around 88% of all paid parking in the U.S.,” Golub said. SPOT is looking to expand to cities, including San Francisco, Philadelphia, and Los Angeles. The cities the company is looking to add are Washington D.C., San Francisco, Los Angeles, Miami, Seattle, and Philadelphia. Golub wants to ensure the model is fully functional in Chicago before proceeding. But if the reception in new areas is anything like what the company has seen so far, SPOT can expect further success. And Golub’s original goal is still at the heart of SPOT’s mission.